Guard Marshal Yanda was voted to the Pro Football Writers of America's All-NFL team for the second straight season, the only Ravens player honored league-wide. Punter Sam Koch, along with Yanda, was named to the All-AFC team. The two are the Ravens' lone Pro Bowl selections. 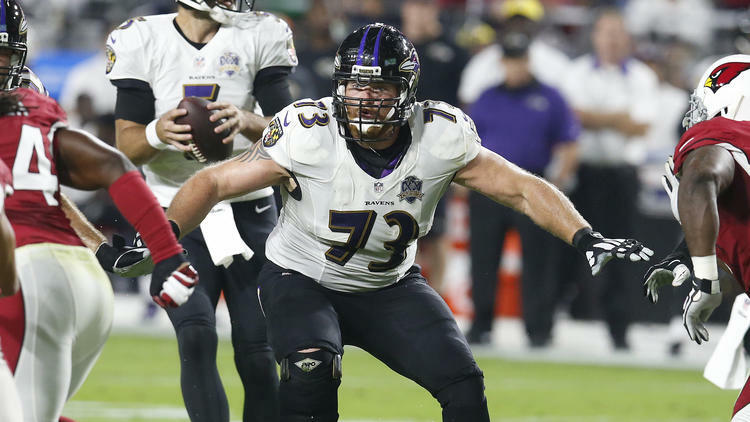 Yanda, 31, started all 16 games and was the top performer on the team's offensive line. He was voted the team's Most Valuable Player by media who cover the team. The Ravens signed Yanda to a four-year, $37.4 million contract extension in October.